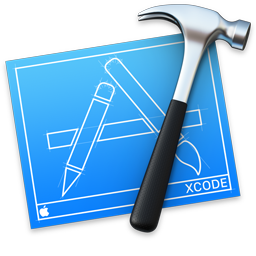 Apple today released a 7.0.1 update for Xcode, and according to the release notes, the new version of the software include fixes for bugs related to App Thinning. Last week, Apple notified developers that App Slicing, an App Thinning feature, was unavailable for iOS 9 apps because of an issue with iCloud backups. It appears the update for Xcode may fix some of the issues that prevented App Slicing from being made available to developers. App Thinning is designed to decrease the size of iOS apps, saving valuable space on iPhones and iPads. With App Slicing, users only need to download the app assets that are designed for their particular device, rather than a full set of assets for a wide range of devices. For example, on an iPhone 6s, a user will only need to download iPhone 6s specific files, ignoring larger iPad artwork and lower quality resources for earlier iOS devices. App Thinning also incorporates on-demand resources, allowing iOS apps to download content from iCloud only when necessary. A game with 100 levels, for example, might not download levels 30-40 until a user reaches level 20, with content for levels 1-10 removed at the same time. On-demand resources cut down on initial app install sizes and keep apps from eating up too much storage space on devices where space is at a premium. I still don't like the "on demand resources" aspect of app thinning. I want the entire app on my device, not only a part that could render it non functional.